Vietnam led the game twice, but Iraq earned final victory with a late free kick. 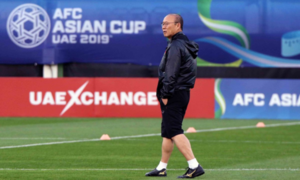 Vietnam played their first game at Asian Cup 2019 with Iraq on Tuesday. They threw a good game and were well on par with the 2007 champions, but lost in the last minute. 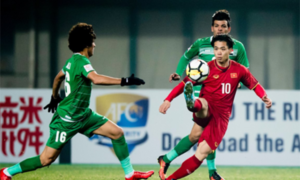 Both teams were more on offense, and Vietnam led after Nguyen Cong Phuong made Iraq defender Ali Faez score an own goal in the 24th minute. 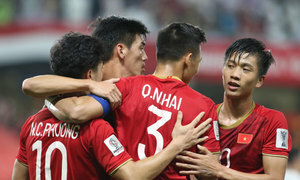 Mohanad Ali scored an equalizer after dribbling past two Vietnam defenders, but Phuong scored Vietnam's second goal in the 35th minute, thanks to beautiful buildup from his teammates. The first half ended promising new history for Vietnam, who yet lost two more goals in the second half. 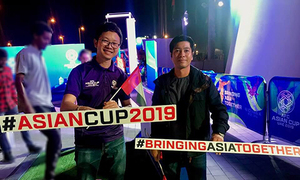 Humam Tariq scored in the 60th minute even after Vietnam's goalkeeper Dang Van Lam managed to throw the ball out from a header, and Ali Adnan turned his free kick into a goal in the 90th. Vietnam have considered Iraq a tough challenge. The teams have met four times at the national team level, including Tuesday. The first time was at the Asian Cup 2007 quarter finals when Vietnam lost 0-2. 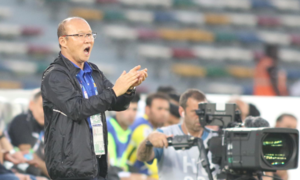 In the qualification round of World Cup 2018, Vietnam faced Iraq twice, drawing once and losing once. 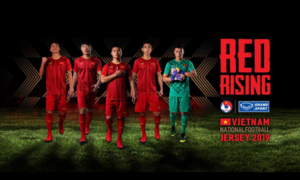 Vietnam's next game at AFC Asian Cup will be with Iran, on Saturday.